Colorado natives Wyndham Clark and Jim Knous will play the PGA Tour’s AT&T Pebble Beach Pro-Am for the first time next week on the Monterey Peninsula in California, but they are by no means the most eye-catching local player in the field. Assuming nothing changes before Thursday’s first round, that distinction will go to Colorado Golf Hall of Famer and Colorado Sports Hall of Famer Steve Jones (left). Even though the 1996 U.S. Open champion recently turned 60, Jones is in the field at Pebble Beach. Perhaps that has something to do with the AT&T Pebble Beach Pro-Am being the first of Jones’ eight PGA Tour victories, coming 31 years ago. It was then that he sank a 20-foot birdie putt on the second playoff hole to defeat Bob Tway. It will be the former University of Colorado golfer’s first PGA Tour start in over six years, since the 2013 Humana Challenge. He competed in seven PGA Tour Champions events in 2018, finishing as high as sixth place. 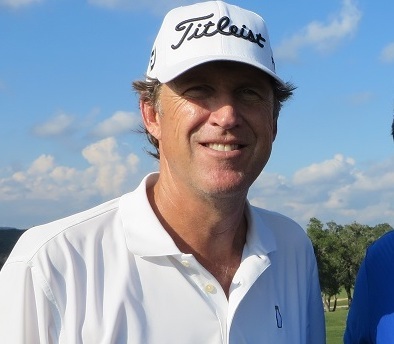 Other players with strong Colorado ties who are scheduled to play on the AT&T Pebble Beach Pro-Am — in addtion to Jones, Clark and Knous — are local resident David Duval, former Colorado State University golfer Martin Laird and former Fort Collins resident Sam Saunders. It will be the first PGA Tour start for Duval since August. For the entire field for the AT&T Pebble Beach National Pro-Am, CLICK HERE.